Karuturi has filed a claim of Sh12.9billion against the NSE listed Stanbic Holdings, which has a market capitalization of Sh36.3billion. The flower firm has filed the claim as per the direction of the ruling of Justice Tuiyot on January 19, 2018. The Bangalore listed company also submitted more evidence that now further tightens its appeal case against CFC Stanbic. The filing of the amended plaintiff received by the High Court on the 22nd of June 2018 means CFC Stanbic Bank and its receivers will now have to fight allegations of fraud and mismanagement of Karuturi farm which occurred during receivership. The amendment includes excerpts of a forensic audit report conducted by Deloitte on showing how the South African based Standard Bank subsidiary and its receiver managers have run down the Naivasha based flower farm, understated flower production and sales of up to Sh835million plus failed to account for flower stems worth Sh169million from the high season of 10th February 2014 to 6th May 2016. Further, CFC Stanbic will have to now defend itself against allegations of concealing local flower sales amounting to Sh145million which would have attracted Sh23million in taxes for KRA. The bank will also fight allegations of having suppressed foreign exchange by Sh322 million and for failing to account for accrued Value Added Tax (VAT) refunds by Sh16million. Additionally, Karuturi argues that CFC Stanbic has gone ahead to claim money spent during receivership from the guarantors who were not given any information about the bank’s losses then (during receivership). The flower firm questions how the bank spent Sh1.6billion during receivership in its bid to recover Sh400 million and accuses the bank and its receivers of extending themselves credit facilities amounting to Sh674million during the receivership period. Karuturi also argues that CFC Stanbic had no rights to appoint receivers as it had not defaulted or failed to pay the Sh259million loan that the bank had disbursed. “The plaintiffs, in good faith and in fulfillment of their contractual obligations, nevertheless substantially repaid the term loan and had as at the date of filing this suit paid USD734, 443 (Sh73million),” read the statement signed by Karuturi’s Director. Karuturi further says that as at 28th February 2014, it had paid CFC Stanbic a further amount of Sh40million which meant the loan account was regularized and the payments up to date. The amended plaintiff also lists PWC Kenya Director Muniu Thoithi and the audit firm’s former country manager Kuria Mucheru as defendants. Other defendants in addition to CFC Stanbic, includes Kieran Day and Ian Small, who subject to their appointment as Karuturi receiver managers in 2014, worked for Business Advisory Group, a New Zealand based financial services group. 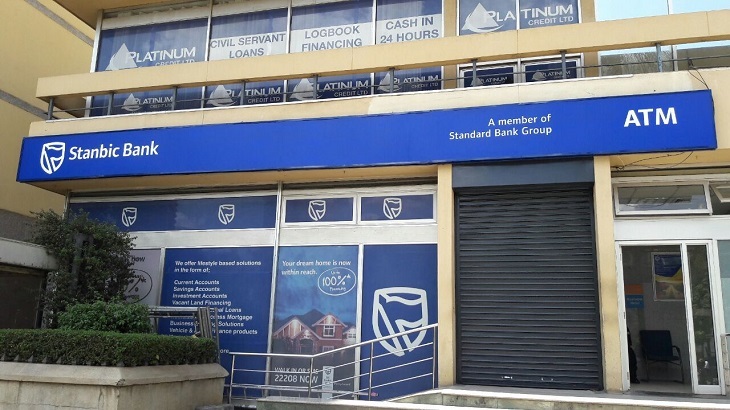 CFC Stanbic Bank, in violation of court orders which require preservation of assets, has been accused of destroying biological assets belonging to the guarantors’ worth about Sh2.6billion. In addition to the new plaintiff, CFC Stanbic has also been accused by Karuturi’s former 3,200 workers of failing to pay their dues and subjecting them to poverty. The workers have since written to Central Bank Governor, Directorate of Criminal Investigations, Kenya Revenue Authority, Nakuru County governor, COTU Secretary General among others asking them to intervene and address their grievances. The workers have also filed a criminal case against the Bank’s management for Criminal Conspiracy, Criminal Breach of Trust, Falsification of Accounts leading to loss of service benefits to workers and Embezzlement with Intention to Defraud. The file is open under OB Number 23 of 22/06/2018 and is currently under investigation. The workers have demanded the arrest of the management of CFC and an investigation into fraud committed during the receivership. The appeal case between Karuturi and CFC Stanbic plus the receivers are expected to be heard on the 9th of July 2018 following an order issued by Court of Appeal judges William Ouko, Daniel Musinga and Kathurima M’inoti to postpone the hearing from 14th June 2018.